Character education has been a buzz phrase in education in Florida in recent years. Florida legislators in their wisdom feel it is important to teach citizenship, respect and compassion along with academics. Because these traits have traditionally been cultivated and modeled by families and religious institutions, it is challenging to teach/instill genuine ‘character’ at the school setting in the midst of FCAT and the academic demands of a competitive 21st century. When we look back on the history of Zephyrhills, character and integrity were modeled by many exemplary teachers and coaches. Perhaps the most notable of these is Coach John Clements, a veritable institution in the community of Zephyrhills! Let’s see now what is character?…Honesty, responsibility, perseverance, caring, self-discipline, integrity, patriotism, compassion, generosity, fortitude, tolerance, humility. Yes, that’s our John Clements! Newcomers to Zephyrhills will know his name from the field that bears his name, “John F. Clements Field,” on County Road 54 East, home field of the Bulldogs. The field dedication comes from not only his extraordinary humanity but an unparalleled coaching record! 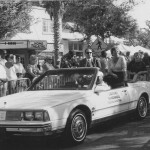 In 1988 Clement’s record was recognized by the Florida High School Athletic Association with a plaque for being only one of five high school coaches in the united States with a winning record of more than 400 games. Consider: Zephyrhills Football from 1948-61; 1966-67 (record 57-94); baseball 1949 to 1972 (record 419-127), basketball 1947-1955; and track 1949-1952. The man however, is John F. Clements–born to a poor family, January 20, 1920 in Baxley, Ga., a country boy who retains the warmth and down-home caring of his roots. 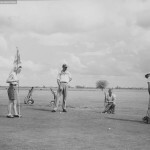 At the age of 5, his father passed away and his family relocated to Bunnell, Fla in the early 1930’s. 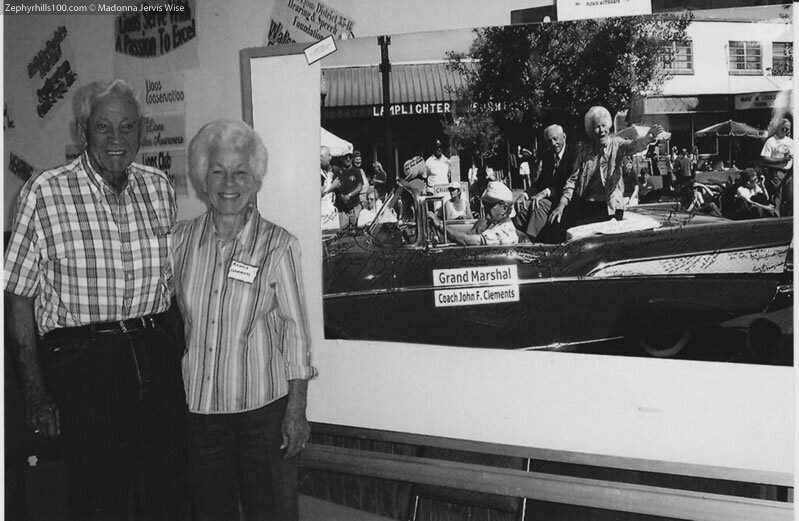 A man of strong family values, Clements and his wife, Marvene (Beanie) celebrated their 66th wedding anniversary in 2009. They have two children, John II and Diane and two grandchildren, Johnny III and Kim McGavern. Along the way also, Johnny was a professional league baseball player before assuming a teaching/coaching position at ZHS. 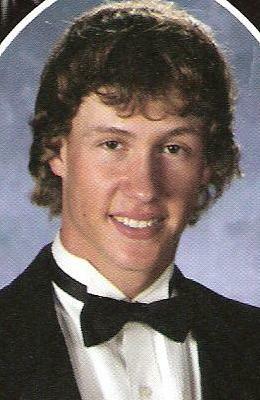 He had affiliations with the Cardinals, Phillies, and the Tampa Smokers. Would you be astounded to learn that Zephyrhills provided an exemplary swimming program that certified 500 youth in Red Cross Swimming every summer? Impressive by today’s standards, but this is actual data from the 1950’s and 1960’s. The Clements operated the summer swim program for 15 years. Their team included the legendary Marianne Simons as a swimming instructor and a variety of ZHS coaches. Kids literally came from a five-county area to the program—children from Brooksville to Lakeland. It was at Zephyr Park. The recently published book, Zephyrhills From A to Z, details how Roosevelt’s New Deal Work Projects Administration funds built the state-of-the art pool which opened June 1, 1939. Admission to the pool was five cents and for five cents more a towel was included. The Clements said the admission never went higher than a quarter. For an additional ten cents more, you could sign up for swimming lessons. The configuration/construction of the pool was quite efficient—a baby pool was available for young children, sloping from 8 inches to 17 inches; the main pool had a gradual incline to 10 feet deep with two diving boards…one stationary board and a 10 foot high diving board. The VFW Hall served as the dressing room area. So many stories about the lifeguards and various folks! Cookie Massey was their most notable lifeguard serving for many years; she went on to become a mermaid at Weeki Wachee Springs. Others mentioned were: Casey Kearse, J.W. 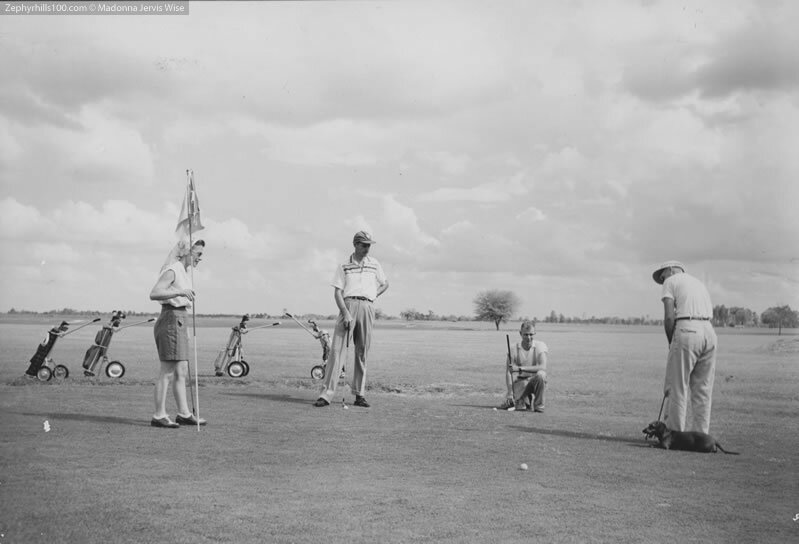 Wells, Clayton Stokes and Glenn Miller. Many coaches from ZHS, such as Bill Kustes and Ann Crawford, assisted. The Clements credit the dedicated staff for the remarkable safety record of no serious injuries during their fifteen years of operating the pool. Stories however, were abundant and some of their favorites were the tales of kids who snuck in for night swims by climbing over the chain link fence. John related the account of Floyd Kersey, Ernie Peeples, and Bob Howell creeping over the fence one particularly dark evening. As the tale goes…just as one of them was about to jump off the high dive, Ernie said, maybe we better check to make sure there is water? Sure enough, the pool had been drained—bone dry. Thank heavens for the intuition of Ernie! Beane said, can you imagine…wouldn’t that have been awful? On any given summer day, approximately 100 children were swimming throughout the day. Everyone agreed the snack bar was exceptional and Beane said that was in part because she is a chocoholic and kept an ample supply on hand. Interestingly enough, the Clements also did bookkeeping for the kids! Children would bring in a small amount of money and they kept an account of how much each spent and how much was left. All in all, the pool was a babysitter in so many ways! Johnny, who is a 30-year Rotarian, likes to chat with the Director of the East Pasco YMCA at the weekly meetings and he said she finds it unthinkable that in the 1950’s they served those types of numbers for swimming lessons. John completed 500 Red Cross Swimming Cards in a typical summer. Does anyone still have a copy of their Red Cross swim card from Coach Clements? By Madonna Jervis Wise and Clereen Morrill Brunty of the 100th Anniversary Committee, ZHS. 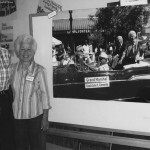 Article originally appeared in the Zephyrhills News on June 4, 2009. On Friday, May 22nd, 2009, ZHS Show Choir and ZHS Chorus presented a spectacular presentation under the direction of music teacher and alumni, Luan Gore. All the guests were welcomed by the new Principal, Steve Van Gorden, who graciously shook hands with everyone! The hour and a half performance was truly a show to behold. The Show Choir, a rather new innovation at ZHS, did several numbers with intricate choreography designed and taught by volunteer, Robert Hughes, a 1973 ZHS alumni. Dance routines included a hoe down and a 1920’s flapper rendition with parasols. The audience enjoyed seeing the group in synchronization as they did a range of steps from the Charleston to the Virginia reel in rhythm to their singing. The array of songs included: folk song, Cindy, Coney Island Baby/We All Fall; Flying Free, Bye Bye Blackbird, Speechless, Dance Today With Joy, Today is Yours and Mine; Fugue for Fast Food; Michael Row The Boat Ashore; I Don’t Know Why I Just Do; Lean On Me and Shout Glory. Student soloists with various parts imbedded in the group presentations included: Kacey Morehouse, Matthew Myers, Danielle Warren, Alicia Wirth, Rachel Wise, and Christian Moyer. The Show Choir also did two numbers a-cappella which they had learned from a recent workshop on Barbershop singing that they attended. Well done, Luan and ZHS students. (See the photo of the ZHS chorus included with the article). In 1938, the Glee Club appeared to be gender-specific with the Girls’ ZHS Glee Club entertaining at that year’s graduation. Our previous documentation of a female drum major at ZHS goes back to 1939 when we found several articles about Irene Hohenthaner as drum major and Irene’s work in leading a variety of community parades through town to advance the knowledge of the dreaded infantile paralysis (polio) as a community effort at a critical time in the community. Could Luan have known in 1976 that she would have an opportunity to ‘pay it forward?’ One wonders? Thanks Luan for carrying on the tradition not only as a pioneering lady Drum Major but in imparting your knowledge and talent to a new generation of performers! By Madonna Jervis Wise and Clereen Morrill Brunty of the 100th Anniversary Committee, ZHS. Article originally appeared in the Zephyrhills News on May 28, 2009. 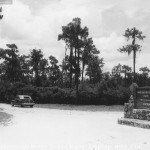 Zephyrhills: What’s in a name? On November 11, 1886, a man named Simon Temple purchased 281 acres of land from Florida Railway and Navigation Corp. for a little over $1,000. He named the area Abbot after Dr. J.M. Abbot who ran a drug store at the crossroads of today’s US 301 and 5th Avenue. 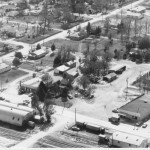 In 1886, Abbot became “Abbot Station” when the Seaboard Coast Line depot was built. In December 1909, a Civil War veteran captain by the name of Capt. Howard B Jeffries bought 35,000 acres at Abbot Station with his wife, Helen Jeffries, and their daughter and son-in-law, Mr. and Mrs. Raymond Moore. 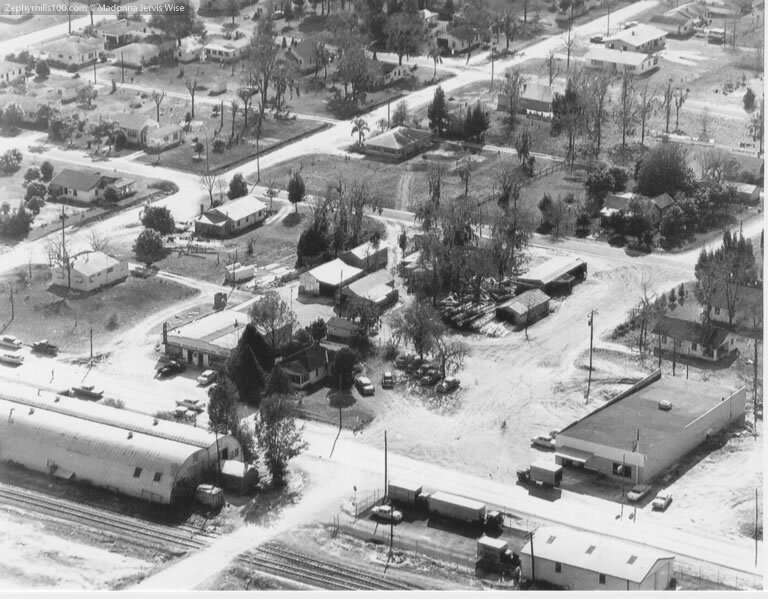 He chose Abbot Station because he wanted to create a retirement area for old union soldiers. The land was high and fertile with an abundance of water and no swamps. How Capt. Jeffries came up with the name Zephyrhills is a bit of a story. While showing off the land to prospective residents, Capt. Jeffries happened to overhear a conversation about the “rolling hills” and “zephyr-like breezes.” Moved by the remark, he coined a new name for the colony company: Zephyrhills. 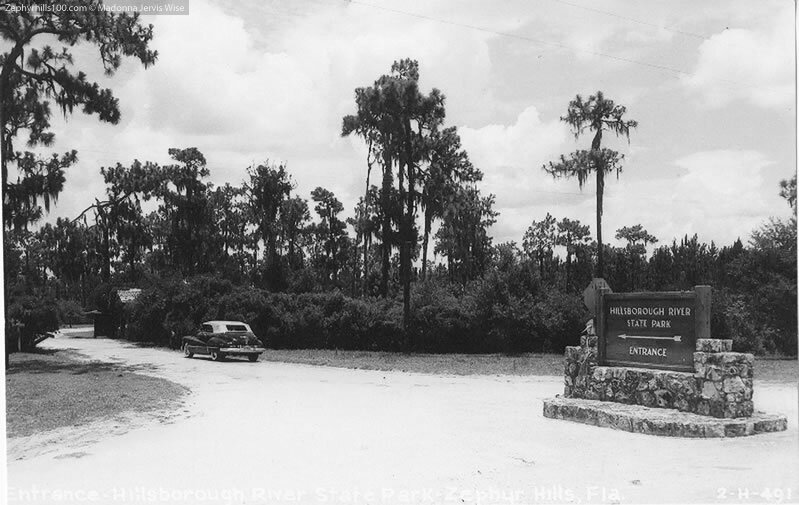 On March 10, 1910, Abbot Station changed its name to Zephyrhills. 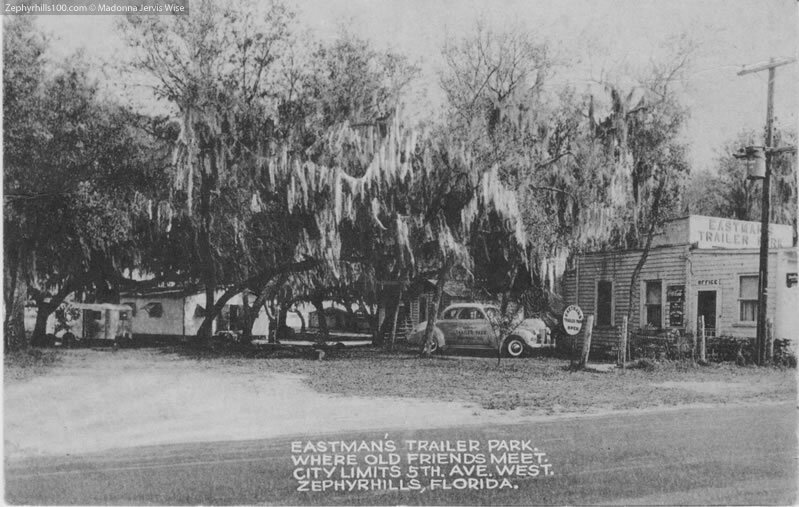 There are variations to this story; it has been said the town was initially named Jeffries Hills and evolved to Zephyrhills from there. 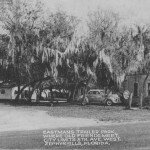 A 1912 newspaper article described Zephyrhills as “the healthiest place in Florida;” it incorporated as a town in 1914. 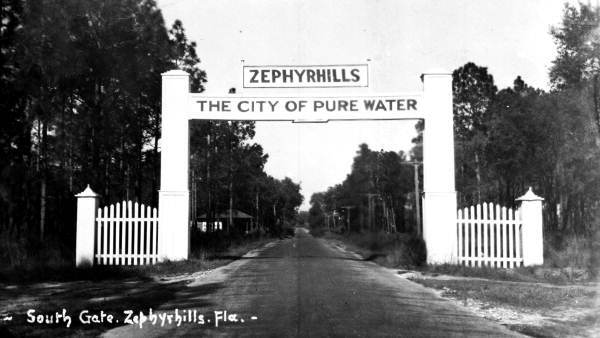 Known for its citrus groves, pure water, and good people, Zephyrhills grew quickly. Capt. Jeffries home, now a historic landmark at 38537 5th Avenue, is one of the oldest residences in Zephyrhills. We are looking for descendants of Capt. 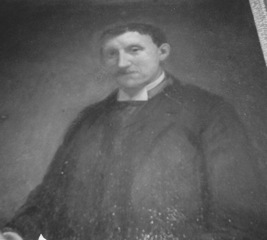 Howard B. Jeffries, the founder of Zephyrhills. If you, or anyone you know, is a direct descendant of Capt. Jeffries, please contact us with your name and relation. As graduation approaches, Zephyrhills Schools will acknowledge that it is celebrating its 95th graduation ceremony. Although the school opened in 1910, the first official graduation was in 1914. This is a time of great pride and joy for families and certainly a milestone in an individual’s life. At the ZHS 100 committee, members have enjoyed compiling lists and documenting history. 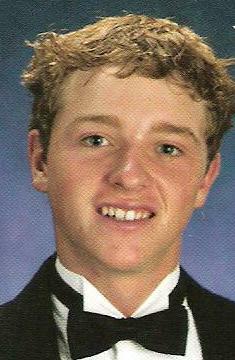 We salute the 2009 ZHS Salutatorian, Carl “C.J. Gennaro, III, and want to share some tidbits about salutatorians throughout the 100 years. ZHS has recognized the top two scholars of each graduating class throughout their history. 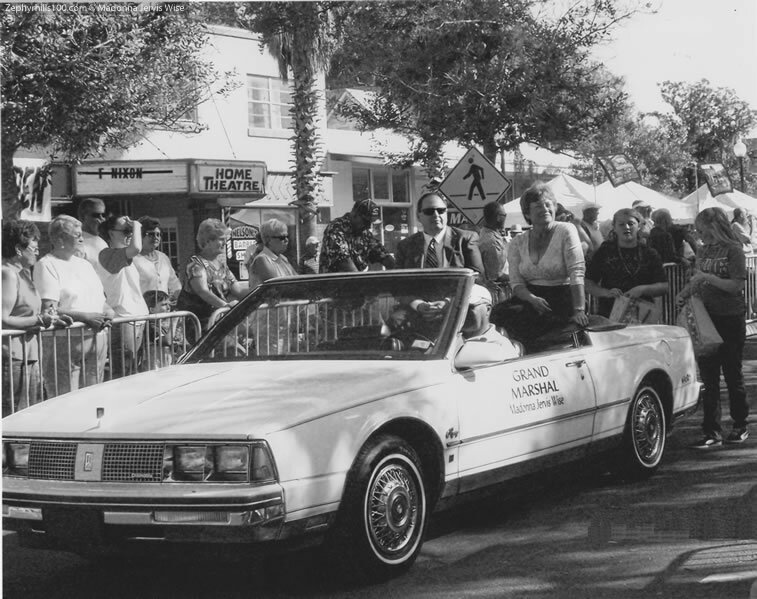 In researching archives, primarily microfilm throughout the school’s history to correctly identify the top-of-the class students, we painstakingly reviewed files at the Zephyrhills News and the Zephyrhills Library. Various community members provided missing names, but there remain some 16 who have NOT been identified. Please help us locate the missing number ones! Congratulations Carl! 2004- Thomas Lee Lawson, Jr.
1986- Ronald Maurice Miller, Jr.
By Madonna Jervis Wise and Clereen Morrill Brunty of the 100th Anniversary Committee, ZHS. Article originally appeared in the Zephyrhills News on May 21, 2009.